Primacy Cheer is an Etsy shop which sells gorgeous handmade cheer bows. 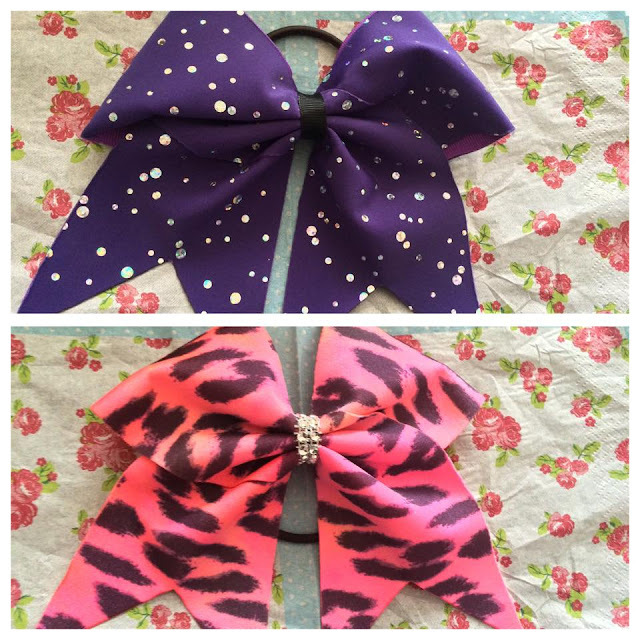 The shop takes custom individual orders and team orders as well as selling beautiful pre-made bows. I'm not actually involved with cheer but I've always loved the style of cheer bows, they're just gorgeous and so girly so I decided to pick a couple of them up! So here are my two beauties! They are super pretty and girly and extremely well made. The bows are sealed with clear sealant along the outside so the would-be raw edges won't fray. This is a great touch as it increases the longevity of the bows as well as ensuring that they look neat and professional when you're performing. Again, I cannot sing the praises of these bows enough - they are superb quality and incredibly pretty. Check out Primacy Cheer on Etsy here.